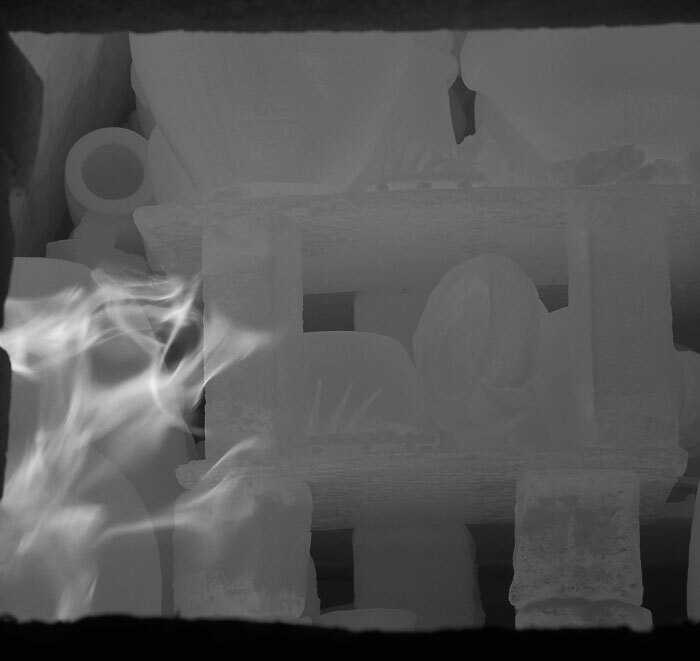 When firing in wood and vapor kilns, subtle changes in the shape of a piece can influence how flames move over the clay and, consequently, how it is colored and textured. I am particularly excited by the possibilities of combining intentional marks with the serendipitous glaze effects from the fire. In my recent work, I have been exploring the ceramic vessel as a kind of lens, much like that of a telescope or microscope. By manipulating the two-dimensional surfaces of a three-dimensional form, I hope to create an illusion of depth, be it celestial or cellular, that goes beyond the piece itself.